Brazilian Jiu Jitsu Black Belt Pablo Alfonso teaches Bjj gi and no gi twice a day and know for a strong traveling bjj competition team. He also coaches and manages MMA fighters and Boxers. Our fully stocked class schedule welcomes beginners to advanced. All are welcomed, first week free. Would you like more information on hours, classes and programs available at Warrior Camp CDA? Please contact the school with your questions. Update the details, Write a Review or Report Error of Warrior Camp CDA. View all Dojo in Coeur D Alene or in Zip code 83814. This Chart shows the Martial Arts Styles offered most in Coeur D Alene, Idaho area. 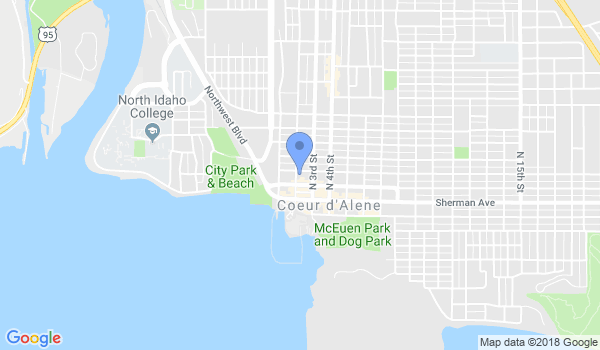 View a list of Dojo in Coeur D Alene, or enter your address below to find schools closest to you.